Established by Renato Bisazza in 1956 in Alte, Vicenza, Northern Italy, the company has become a trailblazer, marked by a dynamic entrepreneurial spirit, a mastery of modern technologies, and an ability to read and anticipate the needs of the global market. The company’s distribution network currently includes 7 flagship stores in Barcelona, London, Los Angeles, Miami, Milan, New York and Paris and 2,800 local retailers around the world. The Bisazza Miami Flagship Store is located in the Design District in an impressive building and has internal floorspace of 400 m2. 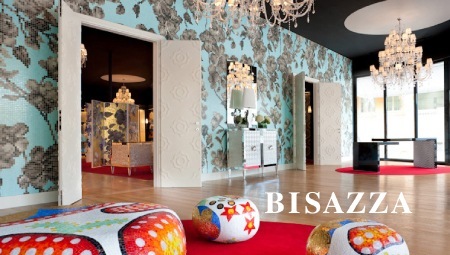 Large and luminous, it offers the ideal setting for display of the Bisazza Mosaic and Bisazza Home collections, and the line of furnishings and accessories created by some of the most important designers on an international level, including: Andrée Putman, Jaime Hayon, Marcel Wanders, Patricia Urquiola. The designer of the space in Miami is the architect Carlo Dal Bianco, director of the Bisazza Design Studio, who has done all the Bisazza flagship stores located in the world’s main cities.